Manchester City midfielder Ilkay Gundogan has revealed his top three players of all time. The midfielder of Turkish origin took to Instagram to answer questions from fans on Thursday. Gundogan revealed that his number one is Barcelona legend Lionel Messi. Second on the list was former Brazil international Kaka and third was Zinedine Zidane. “1. [Lionel] Messi,” Gundogan wrote on Instagram. “2. Kaka. 3. [Zinedine] Zidane,” he said. Gundogan has been in impressive form since recovering from injury. He has suffered with multiple knee injuries in the past. Funnily enough his knee injury at Borussia Dortmund was part of the reason he decided to join City. Gundogan revealed that City boss Pep Guardiola kept interest in him despite his injury and that helped influence his decision. The 27-year-old has three goals and two assists in 10 Premier League games for the Citizens this term. 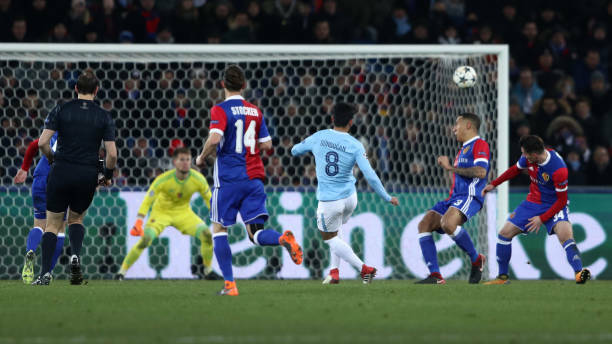 Gundogan also has one assist in three Champions League games.